Pole Fitness is a great cardio workout that increases metabolism, improves core strength, builds confidence & empowers women in a multitude of ways! 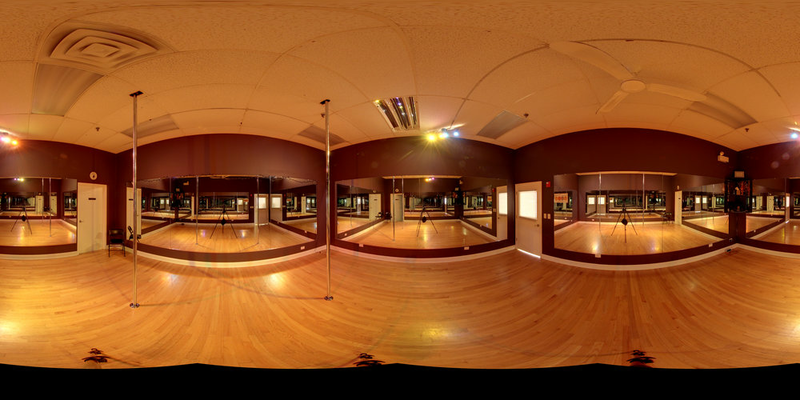 Our Pole Fitness Class at Celebrity Dance Studio was started by Kimberly Blanc. Kimberly started pole fitness in 2012 and she instantly fell in love. The strength it gave her mixed with the beauty of the spins made her feel extremely feminine and yet incredibly empowered at the same time. In December of 2012 she became a professional pole fitness instructor through the Pole Moves Certification and in July of 2013 completed the Pole Moves Advanced Certification as well. Kimberly has been a finalist in multiple pole competitions and placed 3rd in The Windy City Pole Competition in April of 2013. Kimberly brought pole fitness to Celebrity Dance Studio in 2013 because she knew the benefits it would bring to all of the students. She continues to pole dance however, she has found even more passion in teaching others and seeing the joy that it bring to them. In 2012, when Taylor Lovstad started at Celebrity Dance Studio, she immediately fell in love with the challenge and empowerment Pole Fitness gave her. She currently instructs all of our Pole Fitness classes and loves seeing her students challenge themselves to reach the next move! You can pay for either a single drop in class or the entire 6-8 week session online, over the phone, or in person. Classes must have a minimum of three people to run so the sooner you sign up, the more likely your class will run. If it is your first time attending a class be sure to arrive 15 minutes early in order for you to fill out an info card and sign a waiver, this will also give you time to change clothes in our bathroom or dressing room if needed and - if there is no class in session – to grab a spot in the pole room and relax on your mat until class starts. We do ask that if you do go into the pole room early to please not go on the poles until there is a teacher present. You must be 18 or older to be able to participate in a pole class. If you are under 18 we require and signature from a parent or guardian allowing you to participate in a class. If it is your first time attending a class, most women are comfortable in a t shirt and cropped leggings. You want to make sure you at least have your calves bare as to be able to grip the pole better. You will find as you get into more advanced spins and tricks that you will need more skin exposed to be able to grip the pole and execute the steps correctly. Once you get into the pole room we also ask that you take off shoes and socks as class is held barefoot. We do ask that you do not wear any rings, bracelets, anklets etc to class as it can damage our equipment, as well as no body lotions or oils as it will prevent you from being able to grip the pole properly. Safety is our greatest concern at Celebrity Dance Studio. All of our teachers are certified professionals and allow you to be pushed out of your comfort zone in a fun and safe way. We do encourage students to go into the pole room as long as there is not a class going on already, and start to stretch and unwind as you wait for class to start. However we do not allow students to go on the poles until a teacher is in the room, if you are caught practicing on the poles without a teacher you will no longer be allowed to go into the room before class. If more than 3 incidents occur your remaining classes will be terminated with no refund and we will no longer allow you to take pole classes at CDS. Many women tend to sign up for and take classes with a friend, it can be very tempting to try and assist/instruct another student in class if they are not getting it right away. However, we do ask that you leave that to the teachers as to not cause any confusion and to keep the class running smoothly. There is no filming or pictures of other students or teachers permitted while class is in session. We understand that it is exciting to get a new pole move or new choreography so your teacher will be more than happy to photograph/video you at the end of class if time permits. Celebrity Dance Studio is a no alcohol pole studio, we reserve the right to refuse service, without refund or credit, to anyone who is or appears to be under the influence of drugs or alcohol.